I carry out a reconnaissance trip as required before hand to establish the logistics, so everything goes well on the day, arriving at least 30 minutes before departure time from the Bride’s address to the ceremony and allowing plenty of time at the reception afterwards so that all photo shoots can be completed. I have over 40 years driving experience with 30 years working in Executive Aviation as a full-time Captain, I have flown the world’s most famous, wealthy and demanding individuals, as such, I have had to know how to deliver that perfect service. Your Wedding Car Service would match up to those same impeccably high standards. Why use the ordinary ‘run of the mill’ wedding car ‘hacks’ so often available and advertised? It will be your very special day, this car will set the event off like no other vehicle could ever manage. I am Stroud based and charge in the region of £320 for the day which covers most of the Gloucester and Cheltenham areas, for local Stroud weddings it can be less with an additional charges for further distances. 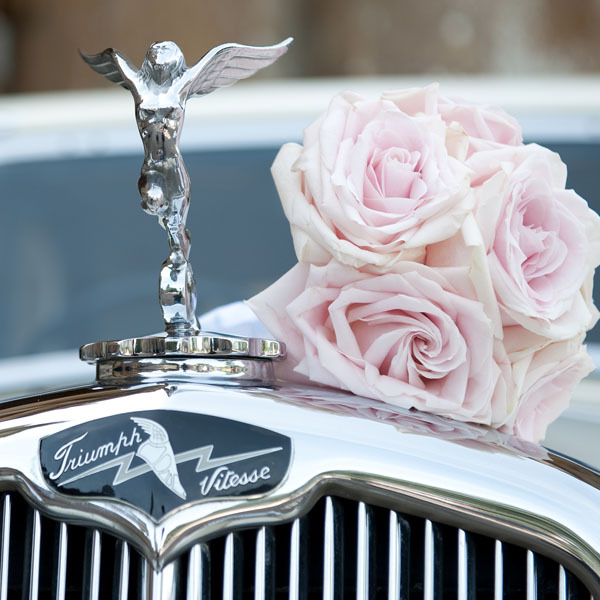 This is a beautiful, immaculately presented car which provided the ‘icing on the cake’ for this very stylish wedding. It was a surprise for the bride and groom and they were thrilled. I thoroughly recommend Mr Betts, who was very helpful indeed. Thank you for being such a ’star’ and making our wedding even more special than it otherwise was. You are a true Gent. I thoroughly recommend Mr Betts and his beautiful, stunning car for your special day. We were so extremely happy with the professional, friendly service he provided for our big day. If we did it all again, we wouldnt change a thing. Thankyou very much again, you helped to make our wedding day extra special. 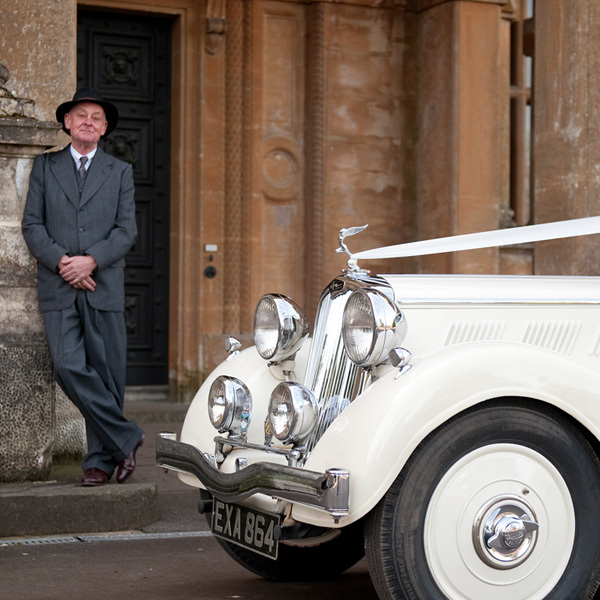 Our wedding car can be hired anywhere in the Gloucestershire area.